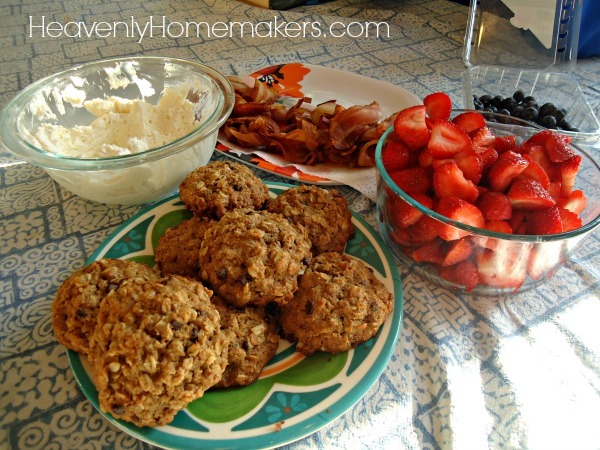 31 Real Food Breakfast Ideas! Eggs and smoothies. Smoothies and eggs. Cereal. Cereal. Cereal. Snore. Need a change of pace? Want some fresh ideas? 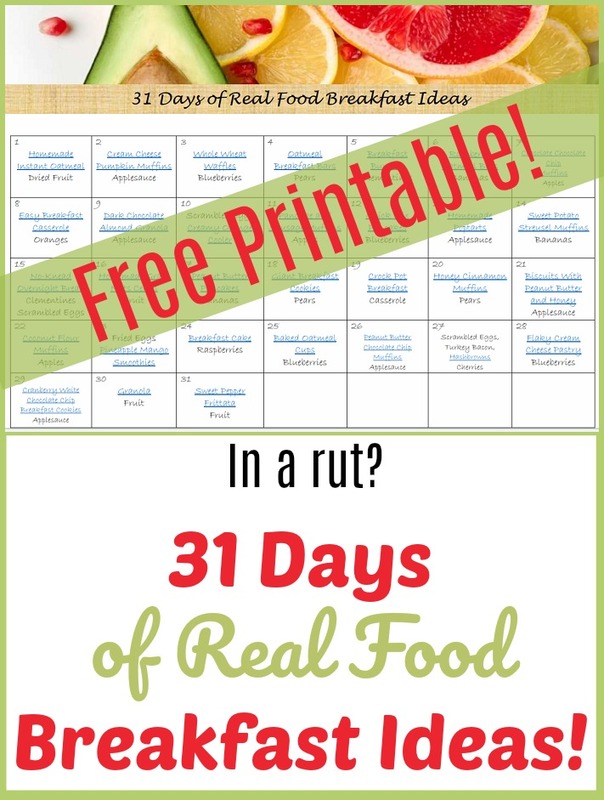 We’ve got a free printable for you that includes 31 Days of Real Food Breakfast Ideas! All 31 ideas are recipe linked. Every recipe is made from real food: Whole grain, healthy fats, wholesome sweeteners. It’s all simple, it’s all delicious, and it will inspire you with fresh ideas for ways to feed your family each morning. Mix it up. Substitute your favorite fruits – whatever is in season! Be sure to add protein to each meal if needed. There’s no right or wrong way to use this free printable full of ideas. We just hope you use it! We’re happy to share this 31 Days of Real Food Breakfast Ideas printable with you to use in whatever way works best for your family. Adapt it, pick and choose what works for you, and enjoy! BONUS: Using these recipes will save you big bucks! How? Well, have you seen the price of a box of cereal? Making a homemade breakfast is quite a money saver. We love it! Get your free printable 31 Days of Real Food Breakfast Ideas. Signing up to receive this will connect you to our Savings Club, providing you with relevant money-saving tips, recipes, ideas, and inspiration!